Rachel Black, creator of The Mysterious Mildred Benson, poses by a cabinet filled with Benson’s work. In 1930, the Stratemeyer Syndicate published the first Nancy Drew mystery, The Secret of the Old Clock by Carolyn Keene. Since then, Nancy Drew has become known around the world. But who was behind Carolyn Keene? The mystery of the pseudonym persisted until a 1980 court case identified Mildred Wirt Benson, a journalist and Iowa woman, as the original ghost writer. 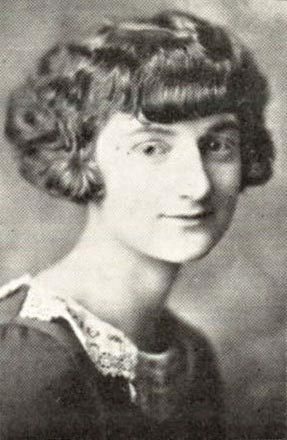 Benson began working as a ghost writer for the Stratemeyer Syndicate in 1927 when she was still a student at the State University of Iowa. Eventually, she wrote 23 of the first 30 Nancy Drew mysteries. The Iowa Women’s Archives received Mildred Wirt Benson’s papers in 2013. In The Mysterious Mildred Wirt Benson, you can learn more about Benson’s papers, her legacy, and her adventurous life as a ghost writer, an airplane pilot, and a journalist. Benson was an alum of the University of Iowa. She became the first person to receive a master’s in journalism from the State University of Iowa in 1927. In the 1990s, she was inducted into the University of Iowa’s journalism schools Alumni Hall of Fame and received the University’s distinguished alumni award. 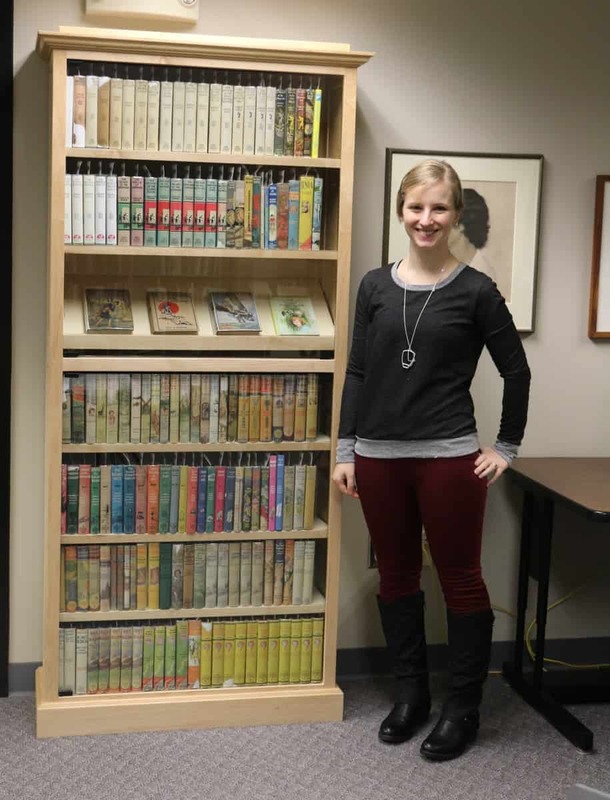 The site includes pages dedicated to biography, the University of Iowa Nancy Drew Conference in 1993, the story of the custom made cabinet that houses 146 of Mildred Wirt Benson’s published works, and resources for Nancy Drew and Mildred Wirt Benson scholarship.